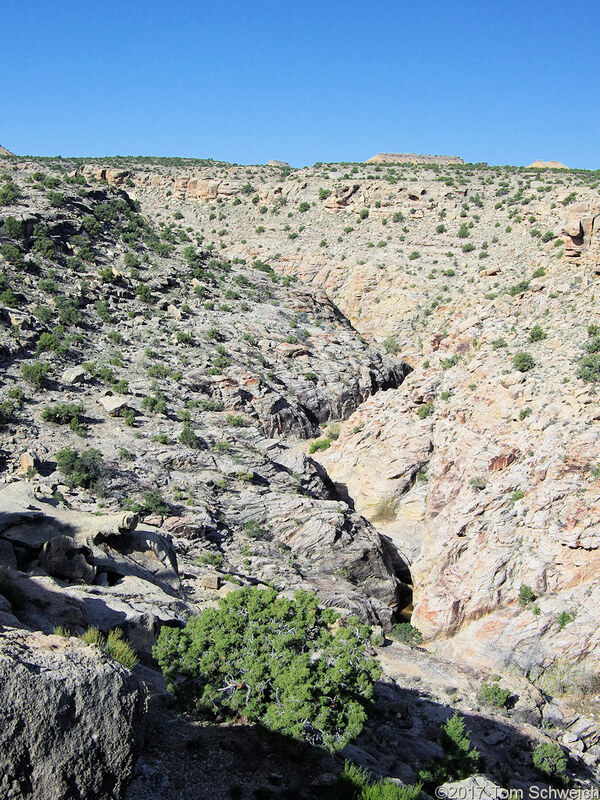 Photo: Black Dragon Canyon on east slope of San Rafael Swell. Eastern Mojave Vegetation Black Dragon Canyon on east slope of San Rafael Swell. Photographed 12 April 2017. The flat in the middle distance is Jackass Benches. U. S. Interstate 70: at Black Dragon Cyn.